Ukraine can postpone the implementation of the controversial language article. The Ministry of Education and Science of Ukraine says that the Venice Commission examined the language article of the law On Education and did not support the claims of Hungary. In a statement on Friday, 8 December, the ministry said that the Commission accepted the arguments of the Ukrainian side about reproaches that the language clause of the law On Education infringes the rights of representatives of national minorities. "In particular, the commission stressed that the content and scope of rights are solely within the competence of the Constitutional Court of Ukraine. The language issues must be resolved by special laws, and therefore, Hungary's accusations found no support," the ministry said. The commission recognized that Article 7 of the Law On Education is a framework and will be specified in the Law on General Secondary Education. At the same time, the commission recommended that Ukraine extended the transition period for the implementation of the article that is slated to come into force from 2020. 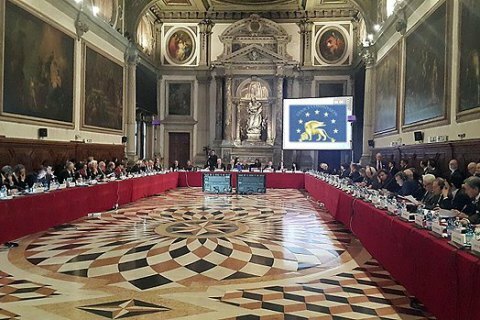 The conclusions by Venice Commission may be made public on Monday, 11 December. The Verkhovna Rada on 5 September adopted the law On Education by 255 votes. The law that, in particular, regulates the use of the Ukrainian language in the secondary education came into force on 28 September. The law provides that children who will go to schools from 1 September, 2018, will have the opportunity to learn in their native language in primary school. Starting the fifth grade, all subjects should be taught in Ukrainian.